Aquarius Shirts: Original as You! Original, independent, open-minded and a bit irrational and eccentric at times. Have you recognized yourself in that? If yes, then you surely are an Aquarius. Aquarians are considered the visionaries among the zodiac signs and look at the world as a place full of possibilities. With their quick and progressive minds, there is nothing they hate more than boring situations and the feeling they are limited. 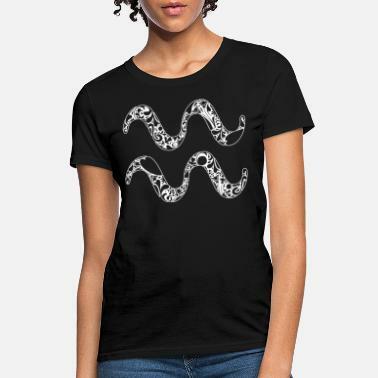 Be proud of being a unique Aquarius and show your zodiac sign off to the entire world with your own Aquarius t-shirt. Look around and discover our great variety of Aquarius shirts in different styles and colors. We know the time of the year when you were born might not be perfect for wearing t-shirts where you live. Thankfully we have countless Aquarius hoodies to offer as well. This way you can show your strengths no matter in what climate area you live. 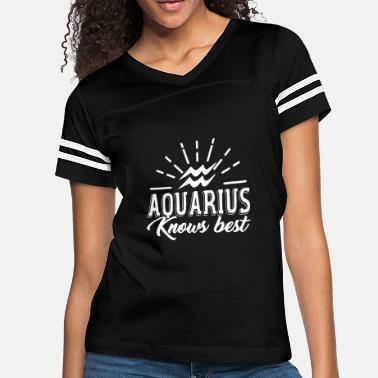 At Spreadshirt you will find Aquarius shirts and hoodies with funny and sassy quotes like ‘Aquarius knows best’ or ‘This is what an awesome Aquarius looks like’. But if you prefer something more artistic, you won’t be disappointed. Artistic illustrations of the Aquarius zodiac sign are among the numerous Aquarius designs as well. Just browse our Marketplace and see for yourself! You are not an Aquarius yourself, but are looking for a unique gift for an Aquarius in your life? If they like horoscopes, you can’t go wrong with Aquarius shirts. 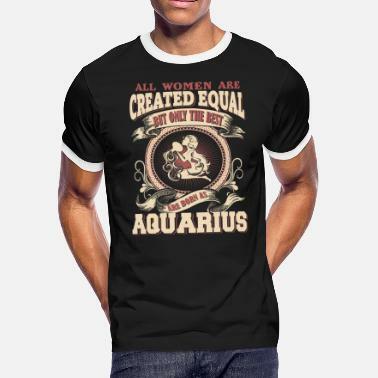 If you are looking for slightly different Aquarius t-shirts, hoodies, phone cases or mugs – you can rely on Spreadshirt to provide you with the best quality products. There are no limits to your imagination and all motifs can be additionally customized and printed. This way you can be sure that you give your beloved Aquarius a one-of-a-kind gift. You can find other great zodiac sign apparel at Spreadshirt. Fellow winter signs as Capricorn and Pisces will surely love the designs we can offer. Browse our Marketplace for Aquarius shirts and other zodiac related gear now! It's An AQUARIUS Thing, You Wouldn't Understand!